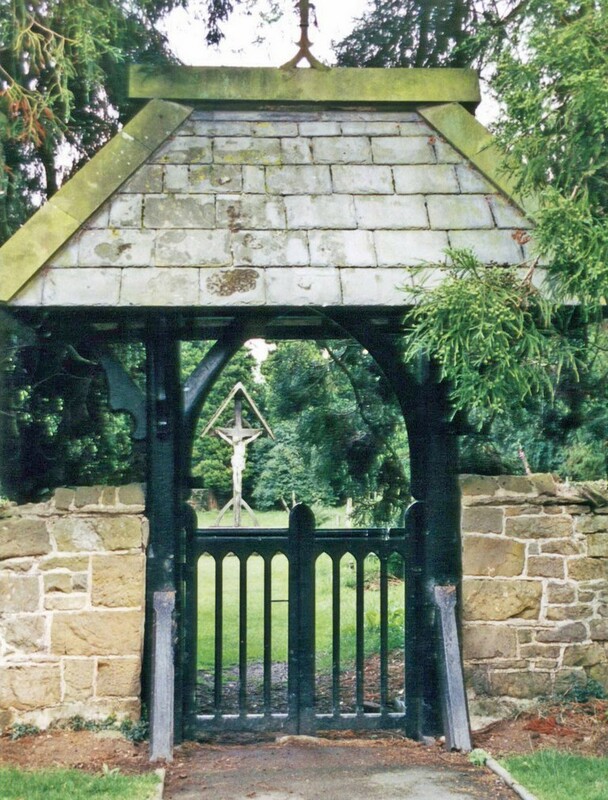 Leaving Eskdale, we took a long detour eastwards to see Fountains Abbey, passing through the North Yorkshire Moors. 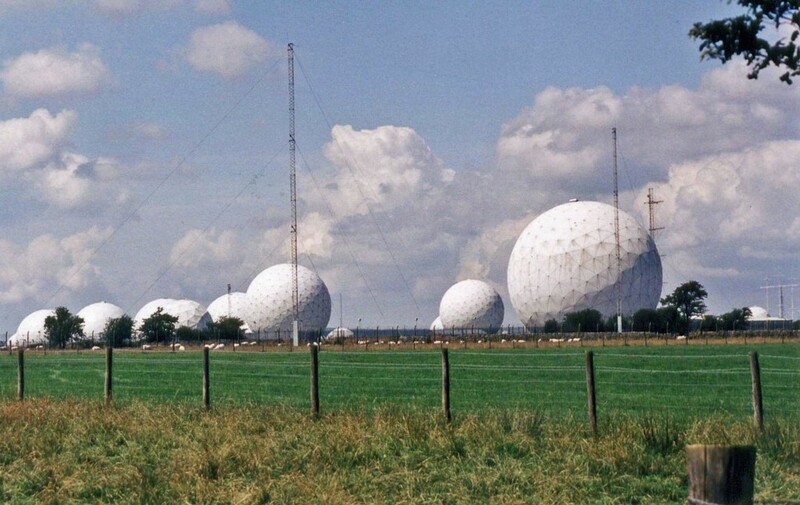 This is (or was) the Flyingdales Early Warning Radar Station on the North Yorkshire Moors. During the Cold War, it was so secret that it was not shown on any maps. 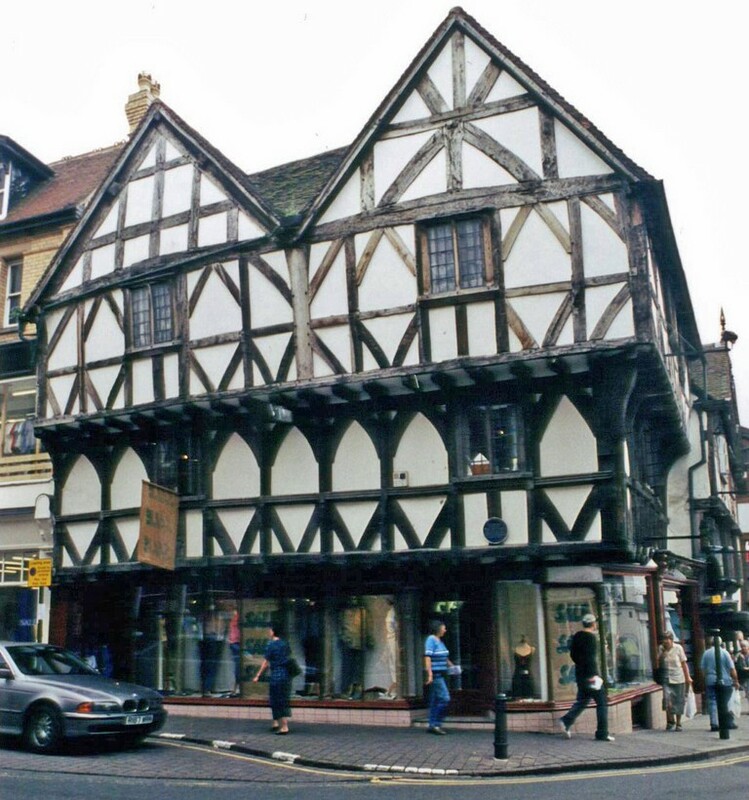 Rather unsportingly, the Russians used spy satellites instead of buying British maps. 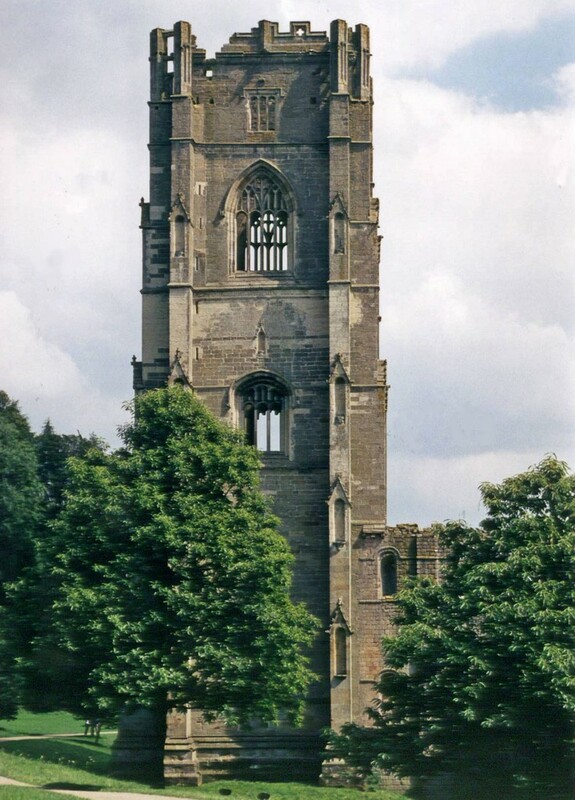 Fountains Abbey is probably the most beautiful of all the ruined abbeys in Britain. We took so many photos there that they are on a separate page. 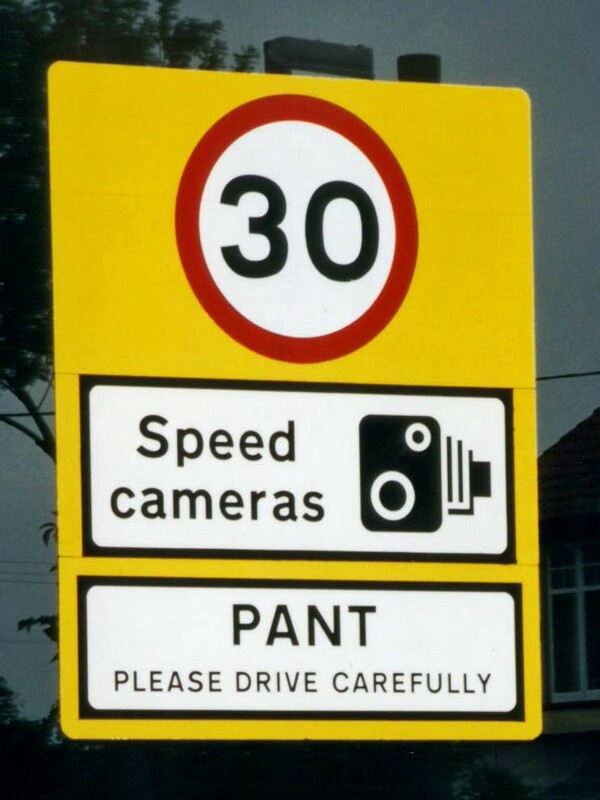 Pant is a small village right on the Welsh Border, where we were going to stay for a week. As we arrived, we received the warm welcome so typical of many British villages. 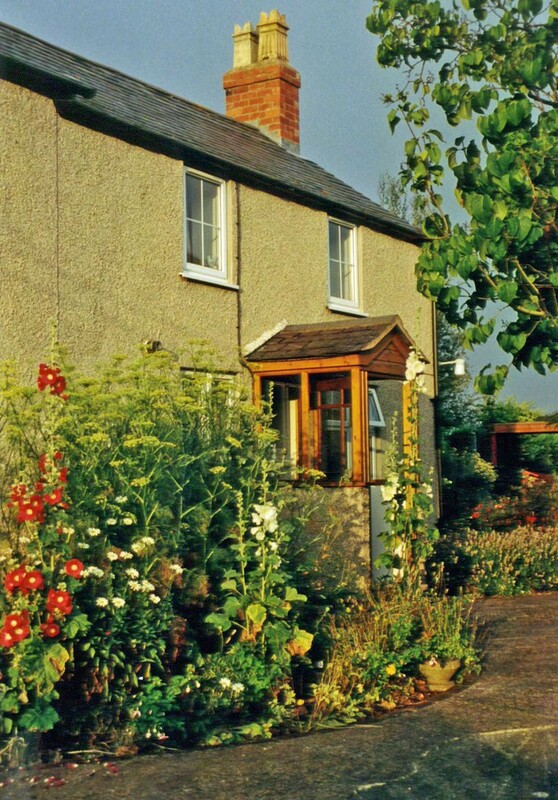 This was the little cottage that we rented. 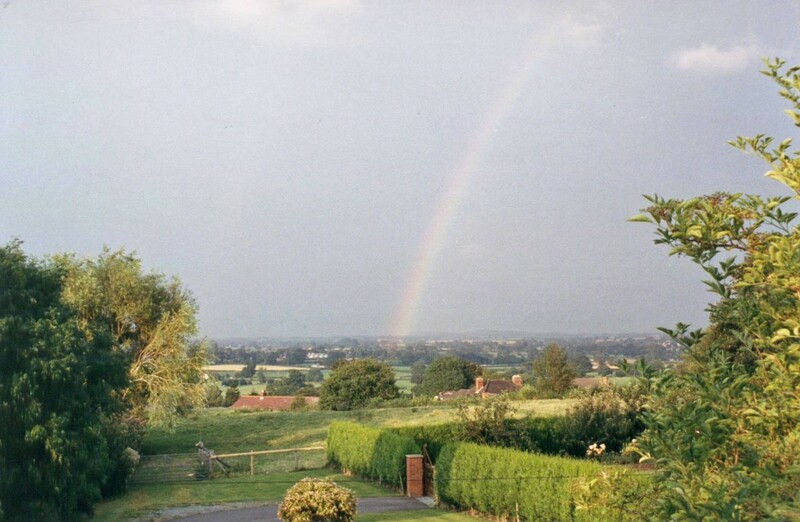 And this is the view from the cottage garden, looking over the village towards Wales. From Pant, we visited many nearby places. 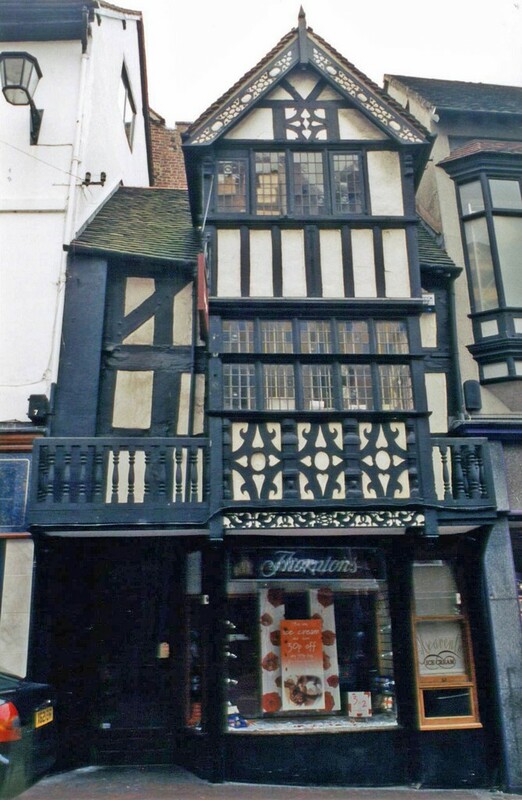 This is a half-timbered shop in Shrewsbury. 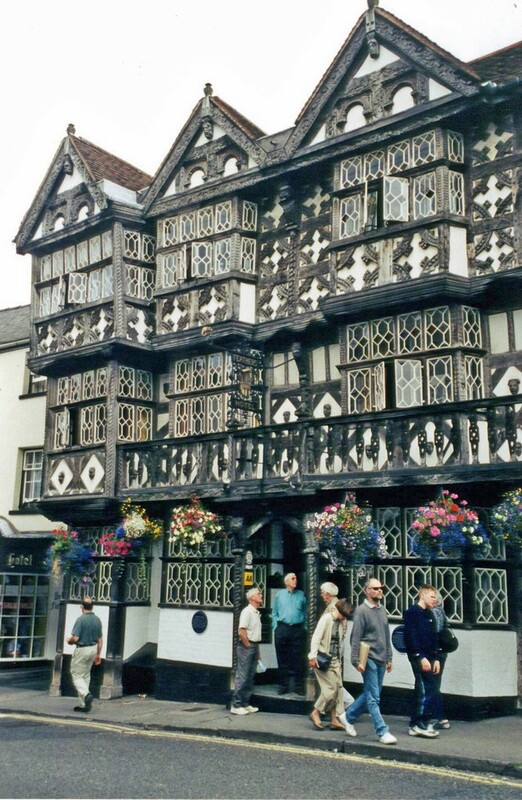 The renowned Feathers Hotel in Ludlow. 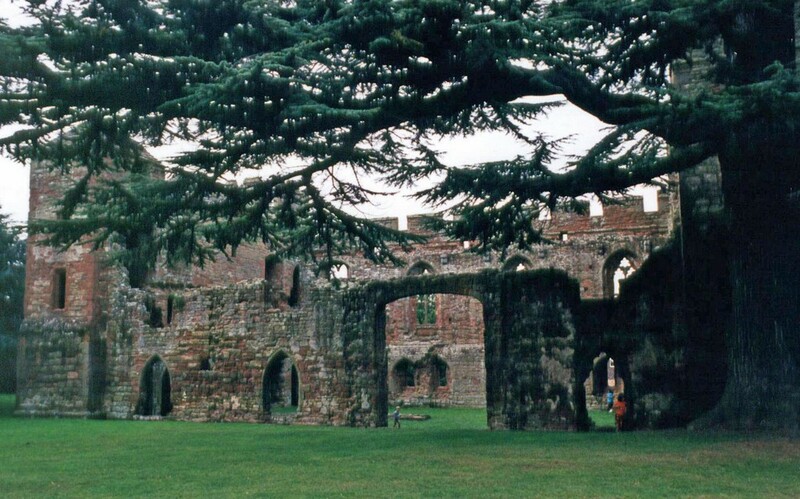 The ruins of Acton Burnell Castle. 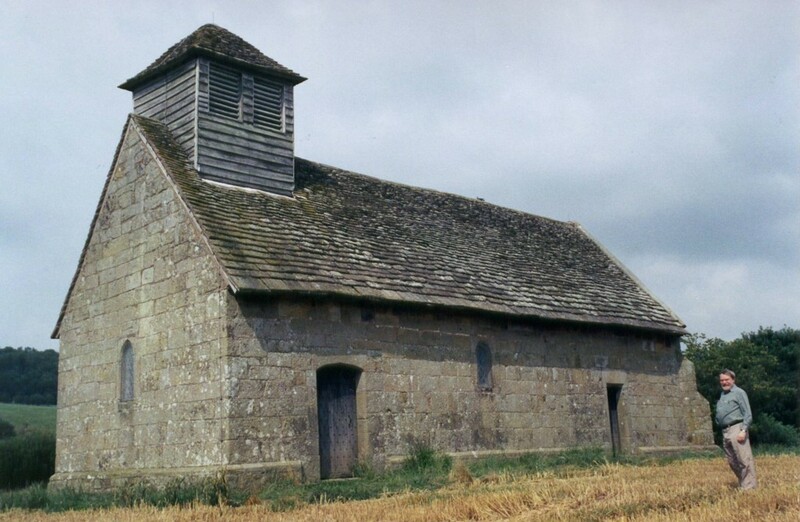 Langley Chapel: a 17th-century church that now sits in a field, disused but under the care of English Heritage. 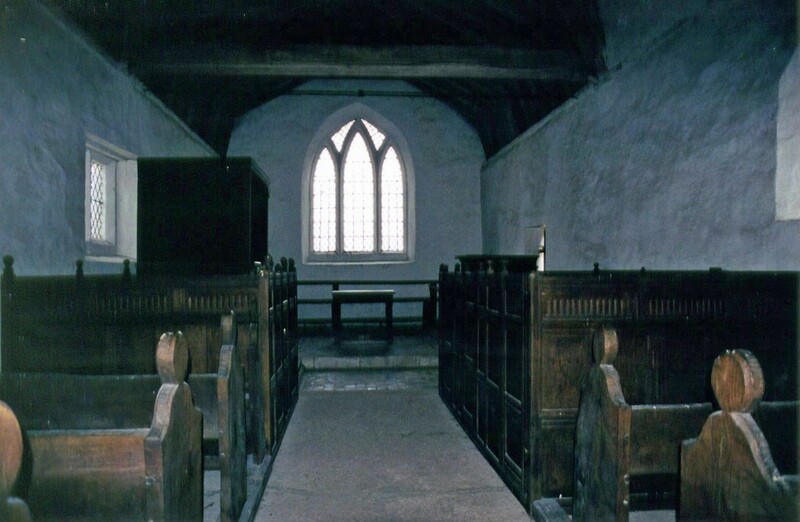 The interior of Langley Chapel. 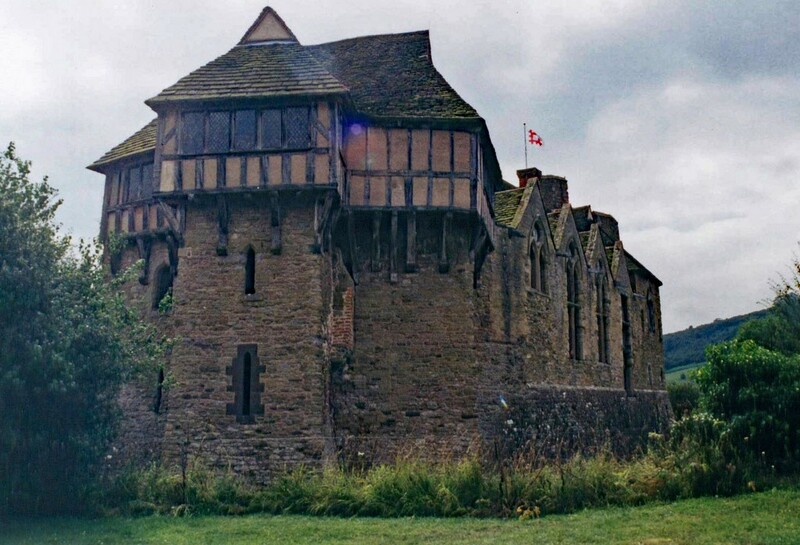 We greatly enjoyed Stokesay Castle, a fortified manor house in a beautiful setting next to a church. Again, we took so many photos that they are on a separate page. 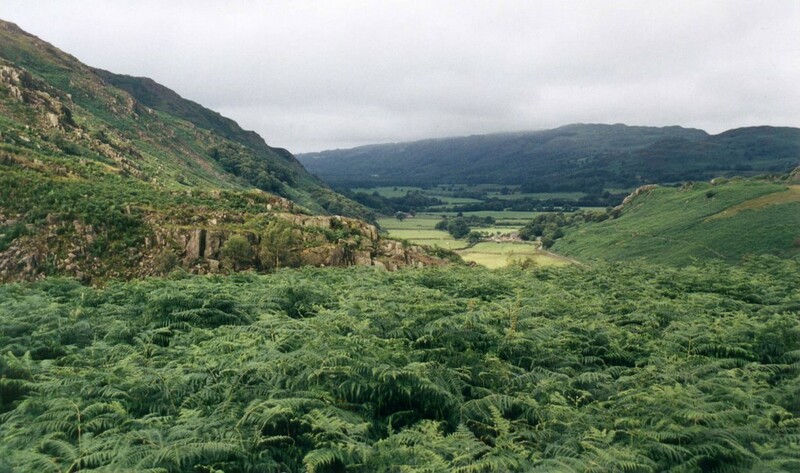 We spent one day pottering around near Llangollen, looking at the canals. 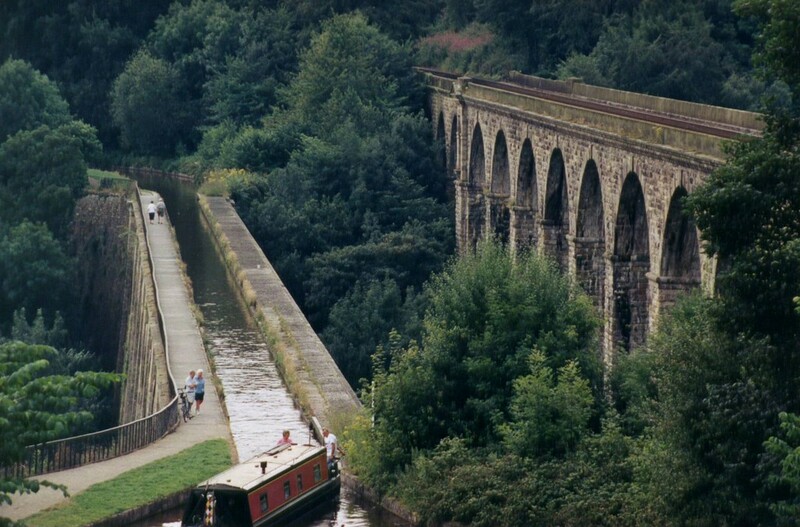 Here are the canal and railway viaducts at Chirk. 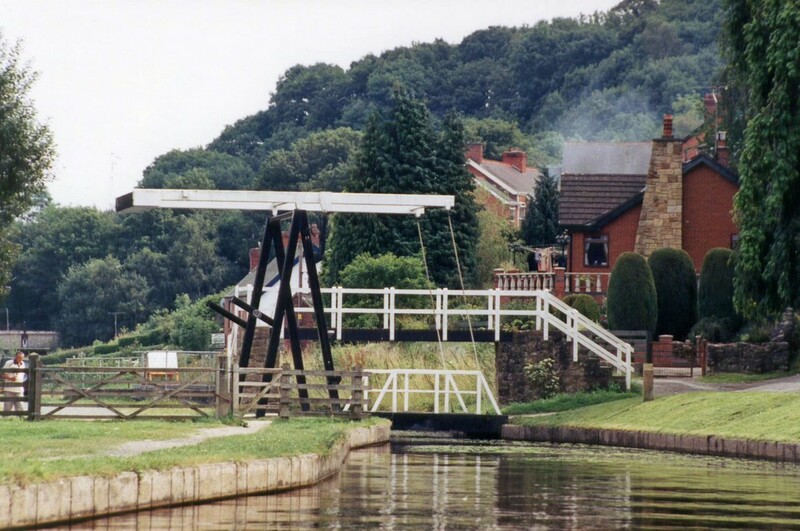 The railway was deliberately built higher to look more impressive than the canal. 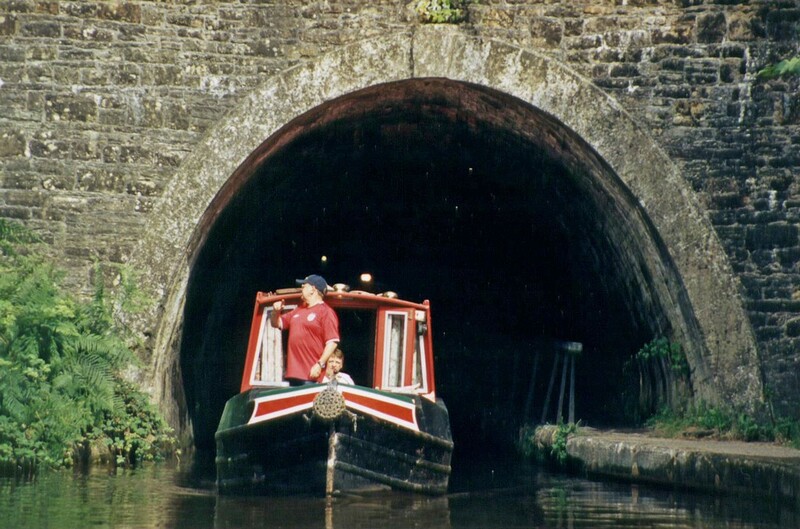 Canal boat entering Chirk Tunnel, going towards Llangollen. 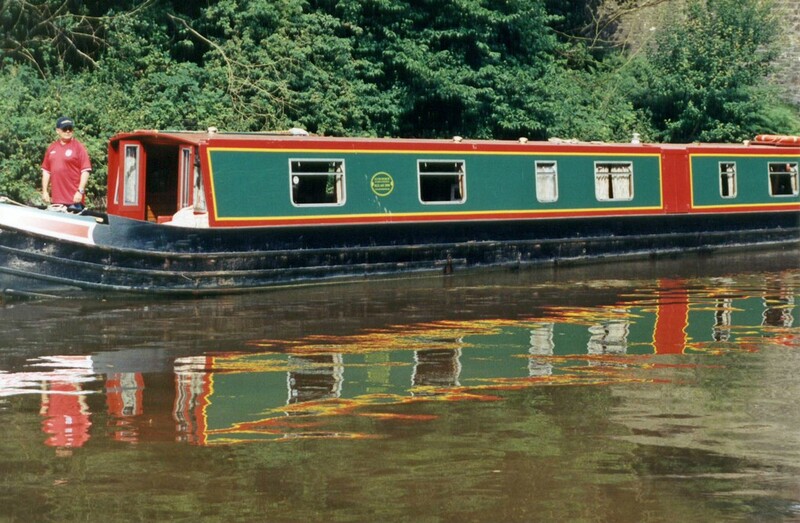 Another canal boat, near Llangollen. 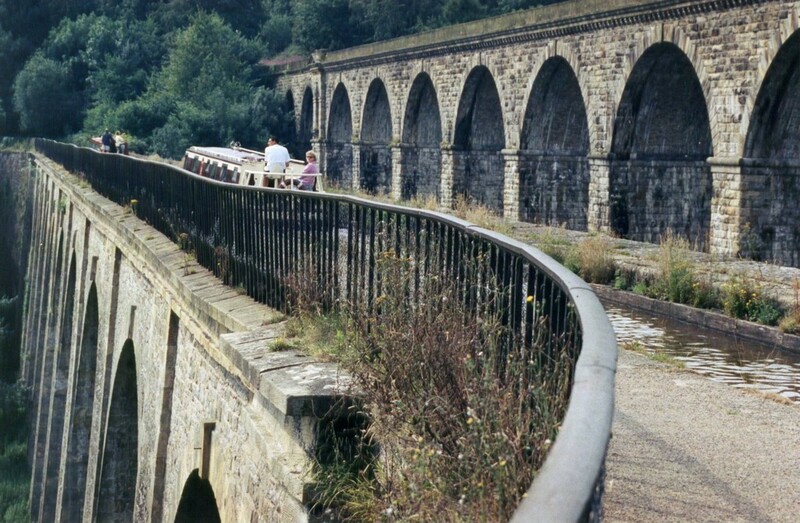 Aboard a canal boat, waiting for the approaching boat to finish coming over Telford's Pontcysyllte Aqueduct. 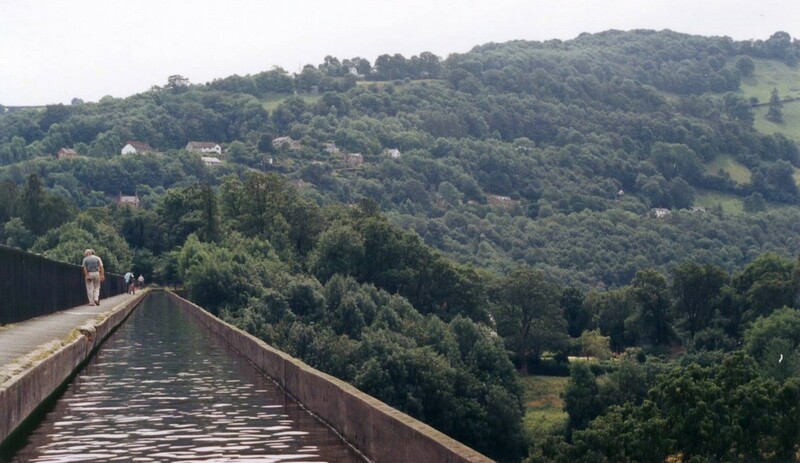 Going over the Pontcysyllte Aqueduct: just wide enough for a canal boat. 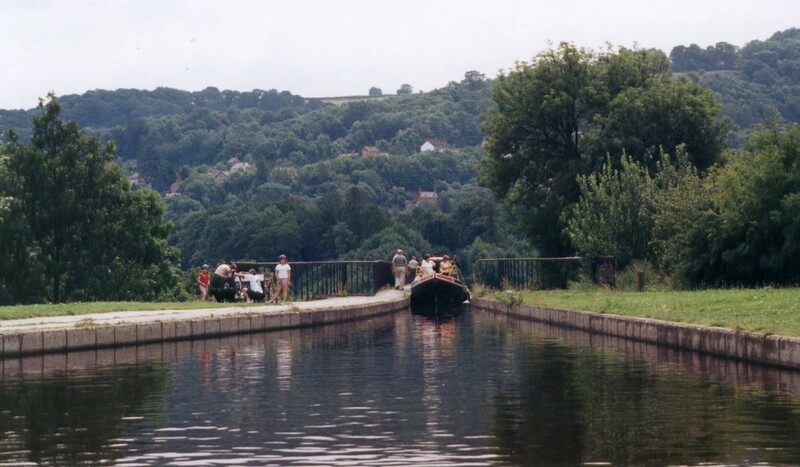 At the far end of the acqueduct, we got off the boat and waited for a bus back to Llangollen by this canal pool with lifting bridge. 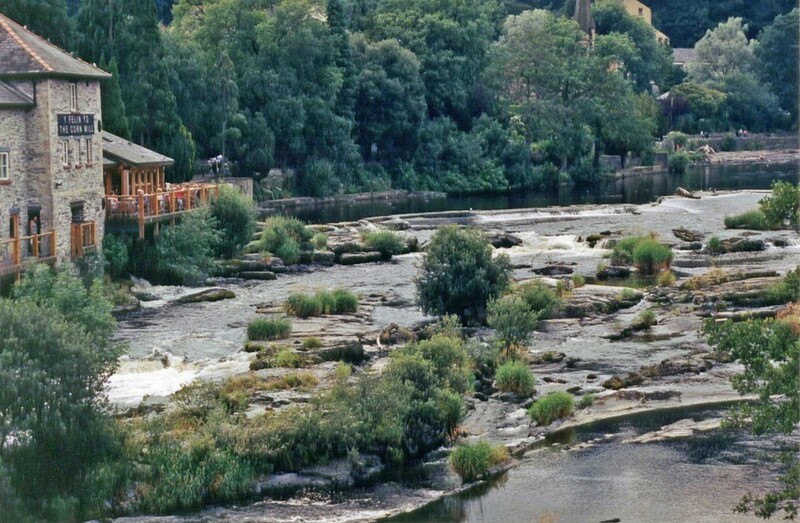 The River Dee in the middle of Llangollen. 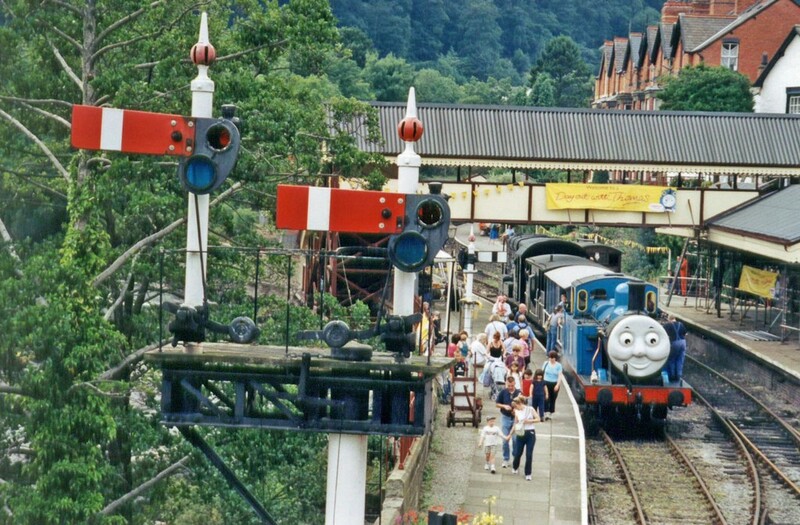 The preserved railway at Llangollen station, with an unusual visting engine. 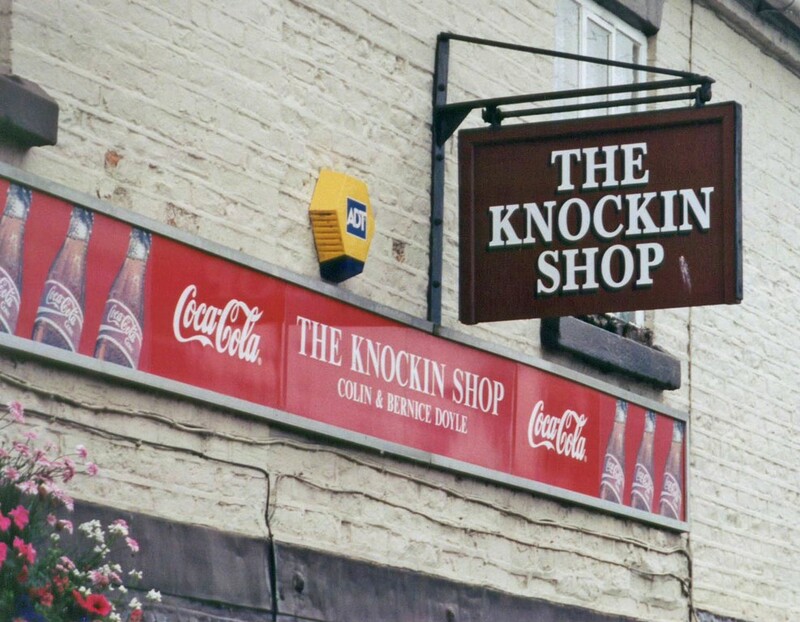 Sign on the shop in the village of Knockin. 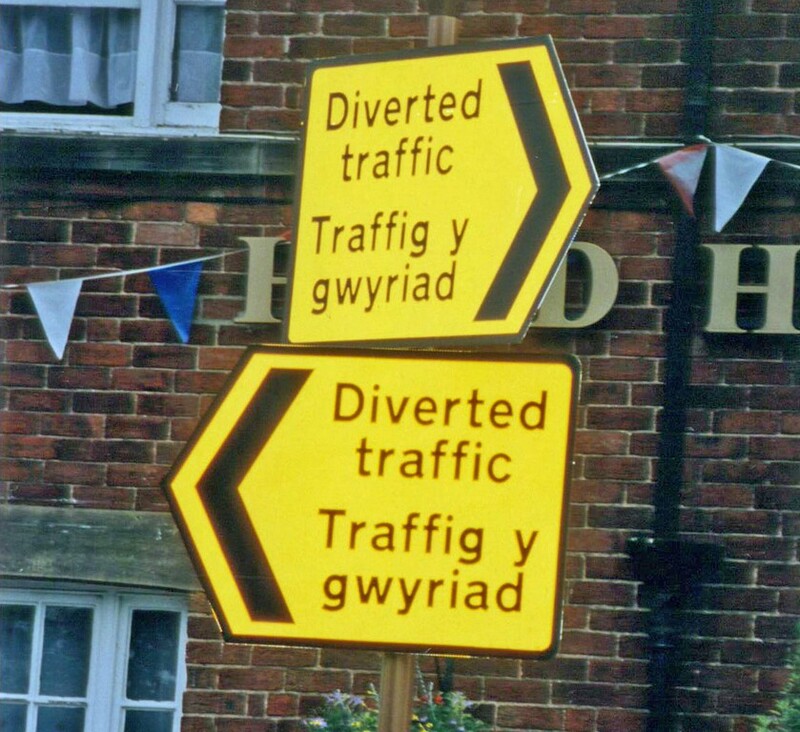 Confusion in Chirk. Which way to go? This page is getting rather long, so it's time to start a new page.